Looking for cheap college books? Many students are. Buying new books, especially textbooks, can be pretty expensive. So how do you get them for cheap? ii. 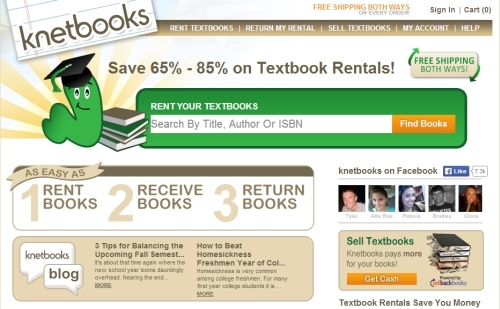 Rent your textbooks instead of buying them! If you rent college books you can save a lotttt of money (you can easily save 50% compared to buying new or used textbooks). On this page I’ve included a couple of websites you can use to rent textbooks for college and I’ve also included a site you can use to sell college textbooks back (bottom of the page), which you should definitely do if you bought your books in the first place instead of renting. Here are two websites I recommend if you want to rent college books (see my price comparison for these 2 sites further below). 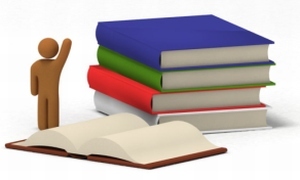 CampusBookRentals.com is one of the biggest suppliers of textbooks in the USA (they have rented out over 1 million books) and their website is really easy to use. They offer free shipping both ways (on both receiving and sending your textbook back to them – they include a prepaid envelope for mailing your books back in). If it turns out that you don’t actually need your books you can just send them back to CampusBookRentals within 30 days for a no-questions-asked refund. Just like with textbooks you would own, with these rented books you can still highlight and underline and make notes in the book. Other students may rent the book after you though, so you shouldn’t go too crazy and turn it into a modern artwork (and an unrecognizable book) if you know what I mean. You can choose from a variety of rental period options and can even pick your own return date. Another nice feature is that you don’t have to worry if you don’t return your book on the exact date, because they offer a complimentary 15-day grace period. And you can extend your rental period too if you’d like. You can even buy your book if you decide that you want to keep that textbook forever. KnetBooks is another textbooks website I recommend. Just like with CampusBookRentals, Knetbooks offers free shipping both ways (you print your UPS return shipping label from their site). They have good prices on their textbooks (much better than buying of course), but not always better than CampusBookRentals (see price comparison for 2 sites below). Just like CampusBookRentals, Knetbooks also offers a few rental period options and allows you to highlight and take notes. But beware that if you highlight excessively (more than 1/3rd of the content) or make really excessive notes that makes the book unusable in future then they will probably charge you a fee for damaging the book. So make sure you return your book in decent condition. You can return your book for a refund (they must receive it within 25 days) but they do charge a 10% restocking fee. You can also extend your rental period if you’d like. And again you can buy your book if you want that textbook to be yours alone. Just like CampusBookRentals, they offer a toll-free number for customer support. If you decide to order through their site be sure to make use of their coupon codes to save $3-5 off your order of $60+. So as you can see the results were mixed. Do your own research for the specific book/s you want on both sites to find the best deal for you. Not only can you get back some of the money you spend on textbooks if you decide to sell college text books that you own, but you can make quite a nice pile of money doing so! 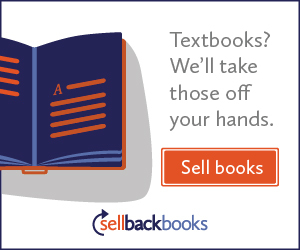 Sellbackbooks.com, which is part of Knetbooks, is one way to do this and get some good returns for your books. 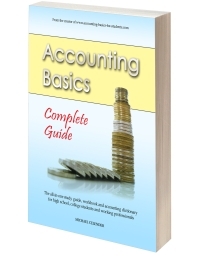 Financial Accounting (Libby, 8th edition) for $87. Beware that they will not accept an outdated edition of a textbook as they won’t be able to sell it (usually people only want the latest edition of a textbook). So if you've bought textbooks (bought not rented of course) and particularly if you have books that have been published in multiple editions, be sure to sell it back soon after you are finished with it (before they release a newer edition), otherwise you won’t be able to make any money from it! By the way, with Sellbackbooks.com you don't have to worry about shipping costs - they pay for the shipping when you sell your books to them. Hope you enjoyed my Cheap College Books page!